The creamy lotion is packed with collagen, squalene, vitamin E and Safflower seed oil. The cream promises to infuse moisture, plump fine lines along with protecting against UV damage. I used a tiny bit of lotion and my face felt smooth, soft and hydrated. I would definitely buy again if it didn’t cost an arm and a leg. The hydrating lip balm has light sheet tint that has slight fruity scent. The lip balm conditions and nourish lips. The tint has build-able color and leaves lips soft. The color was a bit sheer for my liking and also while the lip balm goes on smoothly -- it melted in my bag on a hot day. Definitely not the worth the hefty price. Camilla is a retired psychologist who was diagnosed with cancer, however, she manages to live until 94. Camilla is surrounded by people who love her. She was 55, when she met Javier, a fellow dancer and falls madly in love with each other. Her lifelong friendship with Rosie, who have been together through thick and thin. Along with her close relationship with her great granddaughter, Chelsea. This book was awful and painful to read. The way it was formatted alone was an eyesore. It was boring and made very little sense. I don't get the reason why the story alternated between past and present and at random points for random stories. Then, I don't understand how Camilla and Chelsea has a power to "heal" people. Is it a joke or real? Either way, this book was not worth the time it took to read. The soft scented soy wax is a blend of silver sage, pomegranate, patchouli, and Indian teak. The 10oz candle has a 100 hour burn time. It had delicate scent that smells nice but it doesn't last very long. 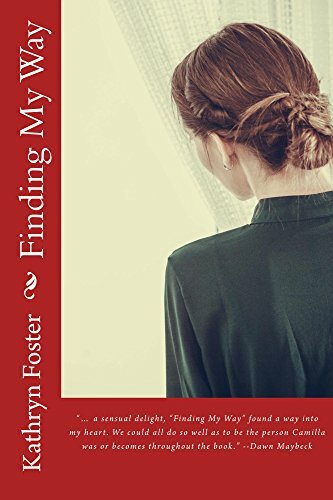 During the summer of 1960 in Norther California, Evie Boyd sees a group of older girls in a park and is immediately taken by them. She longs to have their freedom, lack of rules, their carefree air and the way the demand attention without asking for it. When their worlds collide, the older girl, Suzanne takes Evie to the cult to meet the rest of the members. Among the decay, Evie is mesmerized by the exotic, carefree environment along with the Russell, the charismatic leader while longing to be in the presence of Suzanne. While, Evie is desperate for attention from Suzanne, she doesn't realize the darkness surrounding the group. Will Evie be able to make it out alive? 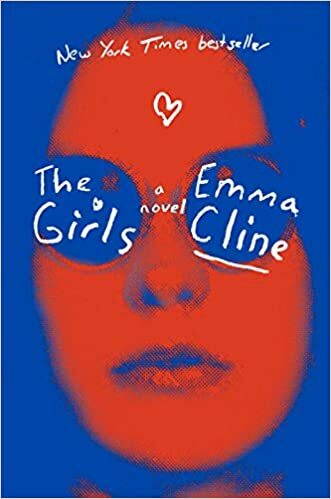 This was Emma Cline's debut novel and it was a bit interesting. Personally, I wanted to like the book especially since it was appearing everywhere. The story started off strong but slowly tapered off into boredom and unnecessary violence and sexual content. The ending of the book is purely disappointing and quite frankly, makes no sense. Granted, the whole entire book had no purpose and you would not be missing anything if you skip this book. The full coverage nail polish goes on smoothly. It is a dark English violet creme that looks black but in the light it shows up as purple. 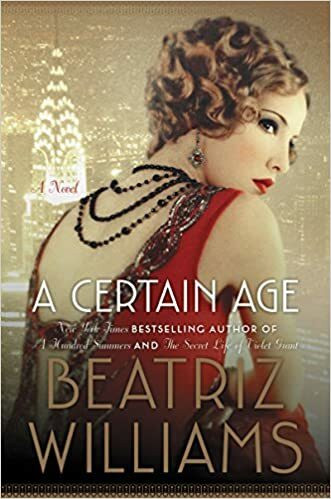 In the Jazz Age of glitz and glamorous desires, Mrs. Theresa Marshall of Fifth Avenue has taken up with a young lover, Captain Octavian Rofrano. Octavian was her first affair and most certainly her last as she falls in love with him. While, the two are deeply enthralled with each other, Octavian wants more. He wants to marry her while Theresa has incredible wealth, social standing and influence meaning having a divorce from her husband is out of the question. Her beloved brother, Ox comes to her for a favor; requesting her to find him a cavalier to propose to his intended, Sophie Fortescue. Theresa asks Octavian to be the cavalier for her brother and to investigate Sophie. However, Octavian is smitten with Sophie even though he uncovers a dark and deadly secret. When, the two forces collide and Octavian is forced to make a choice. Who will he choose? Who will have to make the greatest sacrifice for love? The opulent tale reminds me of "A Fine Imitation" and "The Great Gatsby" with elements from "June". It was an interesting tale woven with elements of love, betrayal and sacrificing the welfare oneself for another with an ending one never sees coming. A great read for the beach or a rainy day. 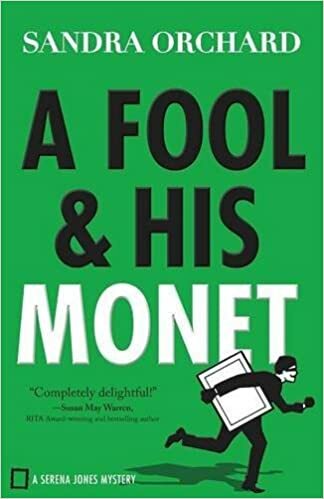 I am definitely looking forward to reading other novels from the author. Nell Forrest is going through a tough time. She decides that taking a cruise around the Mediterranean would be the perfect thing for her. However, in her attempt to "take a break" from her life, her family joins her on the cruise including her ex-husband and his new partner along with a police detective who she isn't quite over. As the cruise progress, one unfortunate event after another takes place causing Nell to worry about her safety. With a penchant for solving murder, Nell dives head first into the string of murders. Will Nell be able to solve the case before it is too late? Is the killer among her friends? Is she next? 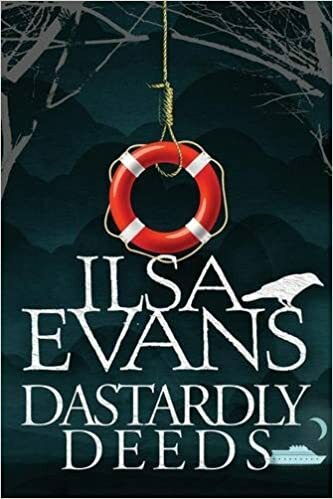 The cosy mystery is an interesting and fun read packed with interesting characters. It has an interesting plot twists that will keep you guessing until the very end. A fun read for the beach or a long subway ride. Serena Jones works for the FBI Art Crimes Team which recovers lost and stolen pieces of art work. She loves her job but one of the main reason for her interest in art is to uncover the truth behind the murder of her grandfather. She believes that with each one of her cases might someday lead to her killer. Unfortunately, as much as Serena loves her job, her mother doesn't want her daughter to risk her life everyday and continues to pester Serena to settle down and marry. Serena's good friend works at a local museum and notices one of the priceless Monet art pieces is missing. Each clue Serena collects leads her down a different path. Will Serena be able to sort out the tangled web of lies? Will she be able to find her grandfather's killer? The story was a fun read and was my first story from this author. However, I was quite annoyed how every single male character was practically in love with Serena and throwing themselves at her. Yet, somehow she doesn't see it and wonders about her dating life. There is also the much used and rather annoying love triangle. I wish the story was less focused on Serena's love life and more focused on the crime solving aspect of the story. While, it was a interesting story, I don't I will read the next book in the series. You gotta love a product that has it’s entire life story in it’s name. The nourish mask is a part of the new mask line from Mizon. It is packed with avocado extracts, allantoin, trehalose, hyaluronic acid and sc-glucan (which sounds made up or comes from space). The mask had a generous portion of serum and it left my skin smooth, soft and radiant. It also had a pleasant scent. I can’t wait to try more from this brand. The Zamac tip provides cool relief, soothe lips and boost microcirculation. The lip treatment is enriched with pumpkin seed oil and vitamin E to enrich, hydrate, sooth and plump lips. I was excited to try it but when I opened the cardboard box, the formula was all clumpy and impossible to come out. The lip treatment also goes on sheer and leaves my lips smooth and soft. The lip treatment also had unappealing taste and scent. Definitely not one of my favorite lip treatments and a completely waste of money.